I don’ t know how long I have been playing soccer, but it has been a while. Soccer is a great mix of individual skill and teamwork. Just enough running to seat, but not enough to want to stop. I have attended a few games played by professionals. 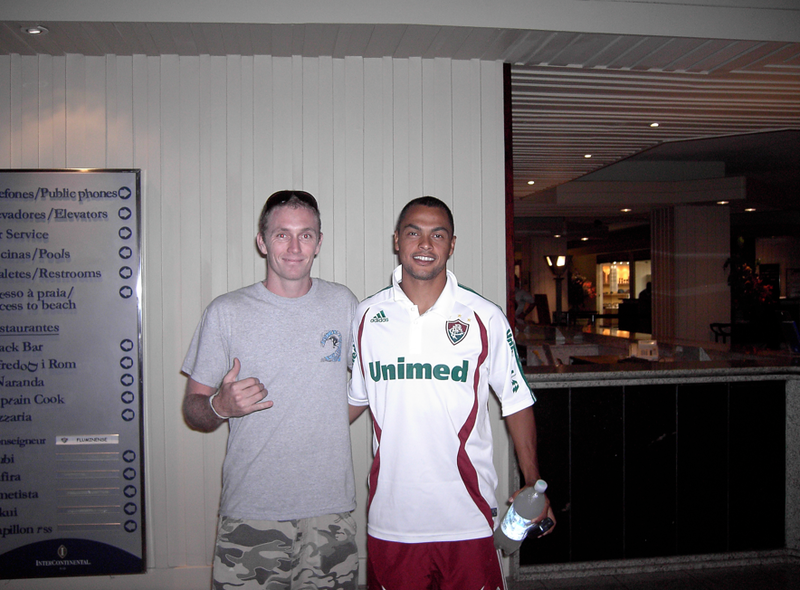 One amazing experience was at the Maracana stadium in Rio de Janeiro, Brazil. 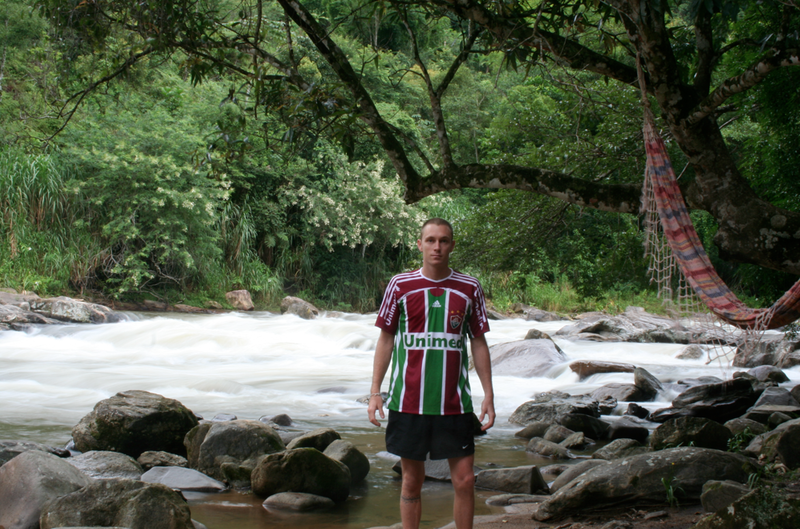 I got to see my favorite Brazilian team, Fluminense, play against Botafogo. Flu is my favorite team because I met Dodo from the team after hangliding. So of course I bought a jersey! 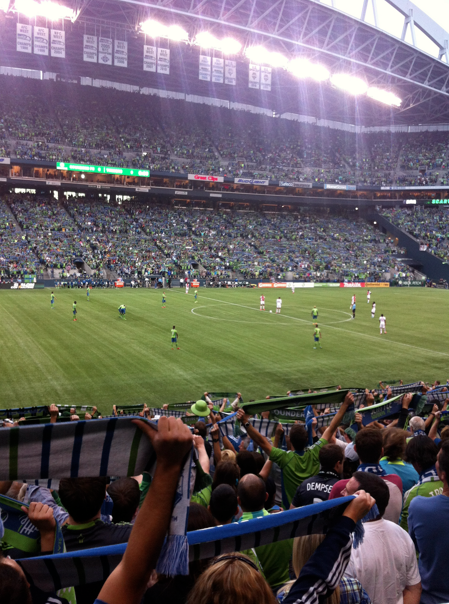 We have even made it to a couple of Seattle Sounders games. 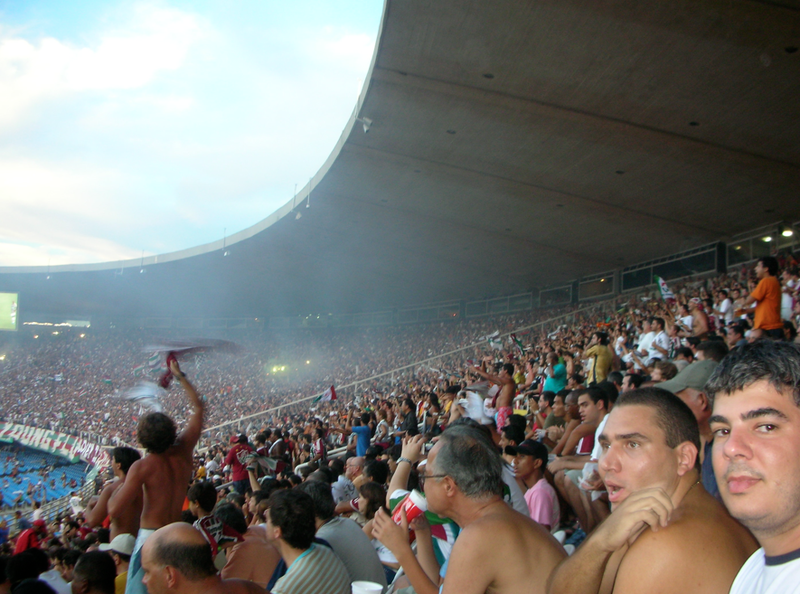 This entry was posted in Brasil, exploring, soccer and tagged Brazil, Maracana, Maracana stadium in Rio de Janeiro, soccer, travel by Rory. Bookmark the permalink.